Hi I'm The Runar I'm better than you. You should have seen itam. Didn't even get to have pancakes till 8pm. Some bint overstocked a shared fridged with my stuff in it and promptly stopped the door from shutting. So all the perishables I had had in my fridge, perished. Wasn't home to catch it early. And the bathroom is leaking because of the flat above is terrible with showers or something, or maybe something burst idfk. But there is a dripping and it's annoying. I might post pics. Just completed Grand Tree Quest, i had forgotten what amount of xp you get from it. And earlier today i completed a daily challenge which i feel i got a bit much xp. #5351155 Best melee xp 90+? Note that Defence can be trained using Range and Magic. However, on the topic of the best melee xp outside of slayer (according to Gemeos's sheets), Fire Giants are 250kxp/hr, assuming max efficiency (Max gear, ovls, familiar, tagging everything, Turmoil and such) Not having these would still generate good xp. I don't know if cannoning will generate melee xp (i havent used a cannon since EOC) but the logical place to kill them would be in the Waterfall dungeon. Defence, can and should be trained with Magic as you can acheive more kills per hour with it. Ganodermic beasts are aparently 600kxp/hr. 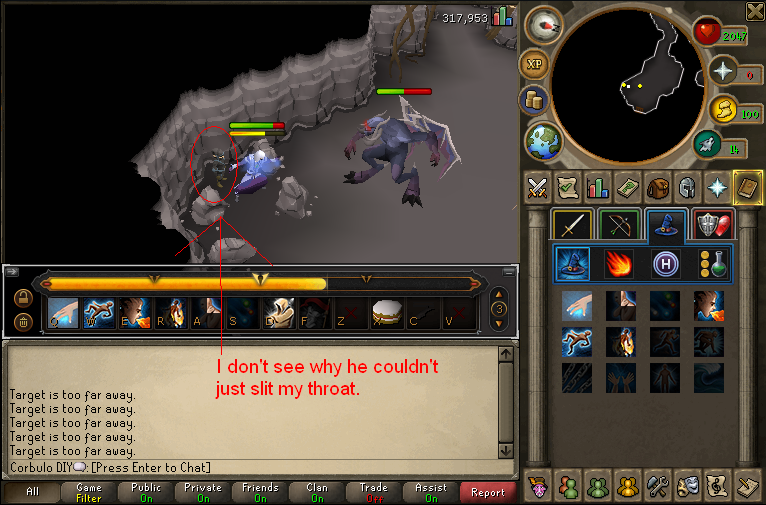 So it is worthwhile to train Slayer. Stop eating Tesco/Sainsbury (other supermarket, local store) meal deals. They destroy my wallet.